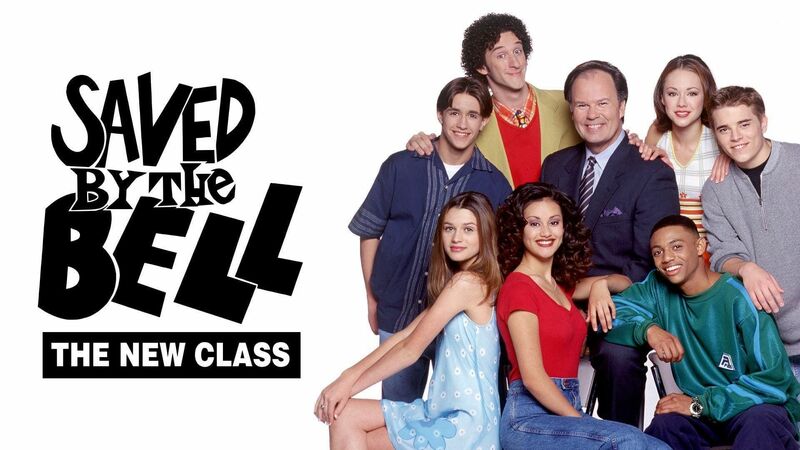 Here's where to watch every episode of Saved by the Bell: The New Class season 4. Mouseover or tap an episode to see where to stream it. Click or tap the play icon to stream it on the best available service. Oh, Brother Sep 7, 1996 Ryan and Screech are heartbroken when Lindsay goes to college and Tommy D moves to Florida. However, new students arrive at Bayside: Ryan's new stepbrother Nicky Farina, beautiful Katie Peterson, and a football star named Eric Little. Ryan confesses to Eric that he likes Rachel, but all his attempts of asking her out fail when Nicky suddenly becomes ""Mr. Popular."" Little Hero Sep 21, 1996 For a communications class project, the students are assigned to make a video about someone they consider a hero. Eric tries to impress Heather the cheerleader but she' not interested because he's a benchwarmer on the football team. Katie is excited that her old boyfriend will be in town next week, but Nicky is worried about it. At the game that weekend, Mr. Belding accidentally injures himself, a player and a cheerleader on the sidelines. From the locker room Screech watches as Eric is put in the game and scores a last-minute game-winning touchdown. At school Eric is now a hero, and Heather is suddenly interested in him. Maria and Rachel ask Eric to be the subject of their documentary. He agrees, but he blows them off to go out with Heather. Ryan begins to sell T-shirts autographed by Eric. With tryouts for a new cheerleader, Katie is too busy to spend time with Nicky. Wrestling with Failure Oct 5, 1996 Ryan tries to lose weight rapidly to make the wrestling team, only to find out he has to wrestle Nicky for the coveted spot. To Tell the Truth Oct 5, 1996 The kids are in the middle of tough mid-term exams. Screech convinces Mr. B. to throw a post-mid-term party for the students but actually it will be a surprise 10th anniversary celebration for him. Ryan, Nicky and Eric get a rude awakening in home economics class--they have to bake a lemon meringue pie for their mid-term grade. The boys buy a pie at the Max and turn it in. They get an ""A"" on it. Screech tastes it and gives them the job of baking a cake, Belding's favorite food, for the big party. Meanwhile Maria blows off studying with Katie and Rachel when Sean Pierce asks her out. Sean asks Maria to help him with his take-home Spanish mid-term. She agrees, despite her study schedule with the other girls. When Maria does study with them, her mind is still on Sean, who calls her up. She leaves to go out with him again. Rachel and Katie think he's using her.The boys plan to raise $150 for a cake, saying it's a gift for Mr. Belding. The girls contribute money, but they want to buy Mr. The Last to Know Oct 12, 1996 Katie and Nicky try to help out Maria's radio show by having them host with her. Unexpectedly, Nicky and Maria develop feelings for each other, which angers his girlfriend, Katie, and results in her breakup with Nicky. The Final Curtain Oct 19, 1996 Eric befriends an old comedian at the hospital. The comedian dies the night before Eric is set to sing for the hospital's patients. Hospital Blues Oct 19, 1996 The gang intern at a local hospital. Eric pretends to be a patient to gain the attention of a female intern. Mr. Belding signs on for a sleep program and Screech constantly prevents him from gaining any sleep. Trash TV Oct 26, 1996 A reality show is doing a project on the gang to show their responsibilty. They are excited to be on TV until they see their show which portrays them as selfish and irresponsible people. Karate Kids Oct 26, 1996 The girls sign up for karate classes at the school. While defending Nicky while on their date, Maria protects him from a bully, jeopardizing his manhood. Vote Screech Nov 2, 1996 Screech organizes a ""Get Out the Vote' drive at the mall and Ryan has to tell Rachel that she can't sing to save his band. The Wrong Stuff Nov 9, 1996 The Bayside gang goes to Space Camp for two weeks and fighting ensues over who will be named team leader. Science Fair Nov 9, 1996 The annual Bayside Science Fair is coming up and Screech desperately wants to win. Eric may be the school's only hope for winning with his robot duster invention, but Screech insists on enhancing his creation which could get Eric disqualified from the competition. The Fifth Wheel Nov 16, 1996 Katie is the odd person out as everyone pairs up during Space Camp. The Kiss Nov 16, 1996 As the Space Camp program comes to a close, the gang encounter students from Deering High School. Ryan accidently kisses Mary Beth and has to find a way to explain it to Rachel. Balancing Act Nov 23, 1996 Maria gets a promotion at the Teen Machine, but along with writing a term paper and cheerleader practice, it leaves her little time for her friends. Meanwhile Ryan and Eric plan a surprise party for Mr. Belding. Screech finds out about it and mistakenly thinks the party is for him. Stealing Screech Nov 23, 1996 Screech must decide whether he can leave break his attachment to Bayside with all its memories and people he loves for a better paying job offered to him by Valley High's Mr. Huffington. Fire at the Max (1) Dec 14, 1996 Ryan accidentally burns down the Max after forgetting to turn off the Christmas tree lights. Fire at the Max (2) Dec 14, 1996 Former Bayside High pupil A.C. Slater visits the gang at what's left of the Max after the fire and they all share fond memories of how the Max has been a special part of their lives.